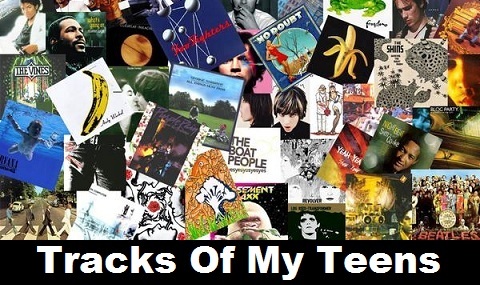 Another look across the blog world in this week’s Tracks Of My Teens for you as we ask Robin Seamer to delve deep into the dark recesses of his mind and recount tales of the songs that changed his world. 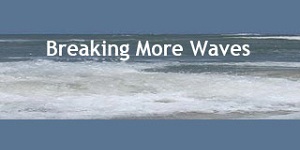 Robin is editor of one of the best blogs going, without question, the always high quality and influential Breaking More Waves. Come with us as Robin pulls the old cassettes out of his walkman and shares his memories of years and songs gone by, it’s a cracking read. So as this is called tracks of my teens I think I should first spell out exactly when, in my case, those years were. I turned 13 in 1982 and 19 disappeared into 20 in 1989. I’m pleased about this as it makes my supposed formative years all slap bang in one decade; none of this two decade straddling stuff. Here are three songs that meant a huge amount to me then and still do now. The 80’s of course meant synths and gloriously bad fashion, the school populace was full of the later and I was beginning to become more and more fascinated with the former. In amongst the usual characters that you’d probably find in any educational establishment yard (the cool kids, the bullies, the picked-upon and the brainboxes) there was one band that seemed to be more popular than any other. It wasn’t The Smiths, The Cure, Depeche Mode or any of the other groups that are probably now associated with being the best of that decade. No, the band that everyone loved was Level 42. Yes read that again. Level bloody 42. With their slap bass and funky pop, everyone who was everyone was into Level 42. It didn’t take me long to realise with absolute clarity that following the crowd just wasn’t for me. Instead I was listening to another pop act. A spikey haired geezer from High Wycombe in his early 30’s. He was playing these exceptionally raw one man shows with a bank of keyboards around him accompanied by a weird bald mime artist who interpreted the songs on stage; a sidekick visual stimuli of sorts. His name was Howard Jones. He was never seen as cool at my school; he was too old, too intelligent and too positive about life. It was and still is my view that being sarcastic and cynical about things is an easy way to get in with the cool crowd, but cool is transient and ultimately leaves you on the rubbish tip as time moves on. Jones expressed views in his songs that 100% aligned with my own rapidly forming ideas on life. “I don’t wanna be hip and cool, I don’t wanna play by the rules, not under the thumb of the cynical few, or laden down by the doom crew”, he chanted over absurdly bouncy electronics, hooky keyboard snatches and percussive beats. Here was a song I could really relate too, way more than Mark bloody King and all that jazz funk pop rubbish about “The Sun Goes Down (Living It Up)”. Jones debut album Humans Lib transported me further into his world of philosophical pop; songs that made me think about life and question what I wanted to be. He sang of “challenging preconceived ideas,” something that touched a nerve in me and a philosophy that I’ve held true to this day. This may have just been a pop song, but it meant so much more, it was in a strange way almost spiritual. New Song set me on a journey where music became my religion. I’m still obsessing, talking and writing about it thirty years on. In 1988 I went to a gig that changed my life. Or at least it changed the way I viewed live music. Up until then, the few bands I’d seen had been in soulless concert arenas such as Wembley Arena, the gigs being entertainment more than anything transcendent or life affirming. The support band was a mild distraction that nobody was interested in and the shows, whilst all pleasantly diverting, were nothing more than that. I’d become a big fan of the frisky buzz-pop of The Primitives, their single “Crash” had kicked its way into the UK’s top 10 singles, a beautiful blonde sore thumb of indie guitar melodies that stood out against the majority of the bland late 80’s chart rubbish and took the trip to London to see the band with a friend of mine. The event was a revelation. We stopped for a drink in a pub close to the venue (I was still a teenager but old enough to drink legally) – the Town & Country Club in Kentish Town – and I found myself surrounded by kids with black leather jackets, drainpipe trousers and attitude. There was no one selling glossy programmes outside, no hot dog stalls and the jukebox was playing The Jesus & Mary Chain, The Cure and Half Man Half Biscuit. Downstairs in the Town & Country Club itself there were no seats. It was the first time I’d ever been to a standing show. It felt exciting and very different to the ‘safe’ shows I’d been to until that point. What’s more there were two support bands and the people who arrived early took notice of them. It was the second of the two – Goodbye Mr Mackenzie – who entranced me. Mixing edgy pop melodies with punk and post-punk influences, their suave lead singer sneered and crooned with menace and delight, guitarist ‘Big’ John Duncan filled the stage with both physical size and personality, and lurking in the shadows on keyboard a slight but beautiful gothic looking girl provided backing vocals. Her name was Shirley Manson and a few years later she would have international success fronting the band Garbage. Suddenly going to gigs became a complete experience. It wasn’t just about turning up to see the main band and being entertained. It was about getting there early because something lower on the bill might be astounding. It was about the energy of standing shows; later when the Primitives played I was literally and metaphorically swept off my feet under the audience’s excitement. It was the realisation that sometimes the best gigs weren’t about the best musicianship, the best light show or even the best sound; it was about the emotion they generated and how they made you feel and think. I came out of the Town & Country Club sweating, fired up and on a massive high. I wanted more. Over twenty years on I haven’t stopped. My third and final selection is the song Hounds of Love by Kate Bush. Taken from the album of the same name the song is not only a thing of huge scope but one of classical and poetic beauty. As my love for music grew more and more as I developed as a teenager I began to realise that there were fundamentally two sorts of record. The first was the one night stand; a song that sounded brilliant instantly, that you immediately fell in love with, but a few years on you’d just remember as some sort of hazy glory. Then there were the long term relationships. These were the records that slowly grew on you, developing a life of their own that maybe wasn’t apparent on the first listen. Then there were those things of utmost rarity; the records that were both the one-nighters and the long termers all rolled into one. Hounds of Love is one of those records. I remember the first time I heard it. Probably like many other teenage boys who fall in love with music (and who like me don’t have an older teenage brother or sister to introduce them to the good stuff) a friend played it to me. I was already obsessed with Wuthering Heights and when my friend asked if I’d heard the new Kate Bush song I shamefacedly admitted I hadn’t. He put it on and we sat and listened in silence. At the end he looked at me and saw my serious face. “Don’t like it?” he asked. A grin slowly began to spread across my face. It just kept on getting bigger. We played it on repeat about twenty times that day and I could still happily do so today. Hounds Of Love is an incredible record that still sounds utterly contemporary, even though it was released in the mid 80’s; not only a track of my teens, but a track of my whole life. Robin Seamer is editor of Breaking More Waves, a fully independent and unfunded new music blog from south-central UK and a purveyor of A.M.A.Z.I.N.G new music. He is also partly responsible for the annual Blog Sound Of… poll and quite a giggle on Twitter. good piece here, not sure i’d ever be brave enough to post my own tracks on my teens any where so public, everyone seems to have way cooler past music lives than me!